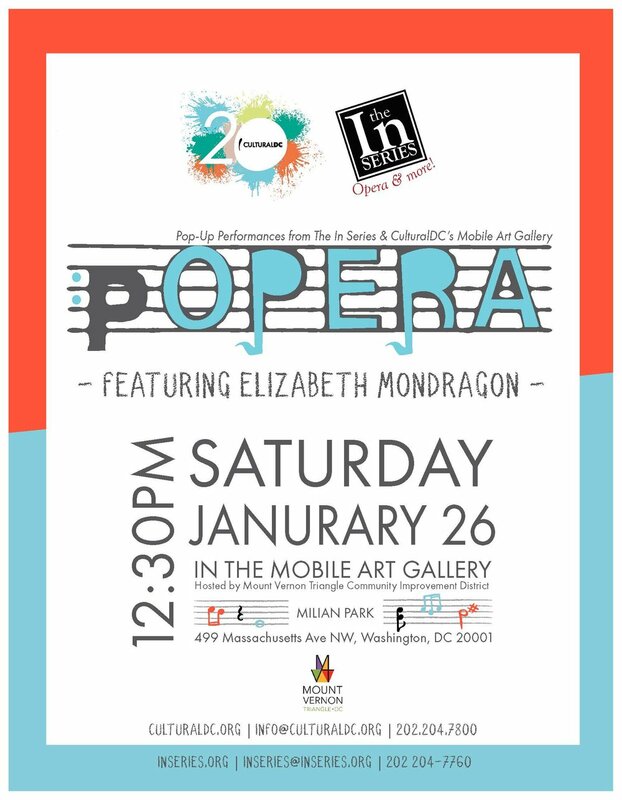 Elizabeth Mondragon is a Washington, D.C. and New York City-based mezzo-soprano. Her performance experience ranges from traditional operatic productions to new music premieres. Principal roles include Carmen, Rosina, Dido, Ma Moss, Giulio Cesare, and Mother in Amahl and the Night Visitors. She has sung throughout the Northeastern U.S. with companies such as Opera North, Camerata Baroque, Amore Opera, One World Symphony, Maryland Lyric Opera, Regina Opera and The In Series. As much a lover of concert and recital as of opera, she has been a soloist with the Central City Chorus, St. George’s Choral Society and the Astoria Symphony featured in the Bach Christmas Oratorio, Rossini’s Petite Messe Solenelle, Mozart’s Mass in C Minor and Mendelssohn's Elijah. In addition, she has been a featured soloist with Ars Musicae Hispaniae Harp Ensemble, performing the music of Spain and Mexico, and has sung recitals of 20th and 21st century song The Liederkranz Club, the Wiscasset Salon Series, and the UUCC Chalice Concert Series in New York and Maryland. Her enthusiasm for new music and working with living composers has led to her performing and premiering works by several local composers, such as David E. Chávez, Elisabeth Mehl Greene, Michael Oberhauser, and Erin Rogers, as well as having established a regular collaboration with award-winning, New York City—based composer,David Sisco.